Rabbi Alex Freedman was speechless. As a new rabbi, he had not yet been in the situation of comforting mourners in deep distress. And now here he was, finding out that Seth Rich — his former camper, and a beloved member of Camp Ramah Wisconsin — had been murdered. What should he do? In the aftermath of the Democratic staffer’s killing in Washington, D.C., a year ago today, his former counselors reached out to one another, sharing their shock and horror. Freedman, encouraged by his senior rabbi, flew to Rich’s hometown of Omaha during shiva to give his condolences personally to Rich’s family. Freedman told the Rich family stories about him from camp — in a few cases, stories they had never heard before. (One involving a contraband water balloon launcher). Freedman published a blog post on Monday in which he remembered blessing Rich, and the other campers in his bunk, on Fridays before evening services. They would say the blessing traditionally recited by parents: May God bless you and keep you. Freedman told the Forward that his own counselors at Ramah never gave the blessing, but that he and his generation of counselors brought that tradition to camp — one that continues now. Freedman has given sermons featuring Rich three times since Rich’s killing, which police believe was a botched robbery near his home in the Bloomingdale neighborhood. Speaking about Seth Rich, he said, has helped him communicate the importance of comforting mourners — and the evils of lashon hara, or harmful gossip. In June, when Sean Hannity was heavily promoting conspiracy theories about Rich’s death on his show on Fox News, Freedman decided to connect the media circus to the weekly Torah portion: Behaalotecha, in which Moses’ siblings speak behind his back. “People are talking as if they know him and as if they were there, when they didn’t really know him and they weren’t there,” Freedman said. But as Rich’s counselor, Freedman says, he and his co-counselors knew Rich in a unique way. Contact Ari Feldman at feldman@forward.com or on Twitter, @aefeldman. This story "Seth Rich DNC Murder Remembered By Camp Counselor Rabbi" was written by Ari Feldman. 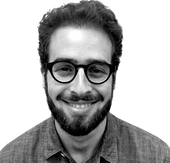 Ari Feldman is a staff writer at the Forward. He covers Jewish religious organizations, synagogue life, anti-Semitism and the Orthodox world. If you have any tips, you can email him at feldman@forward.com. Follow him on Twitter @aefeldman.